Hydraulic Equipment Supermarkets stock a HUGE range of Banjo Fittings from quality DIN 2353 Compression Fittings manufacturer EMB, for use with steel tube. 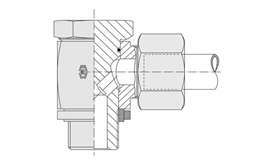 Below there are different types of Banjo Fittings that are available to buy online from Hydraulic Equipment Supermarkets and they include Full-Flow Banjo Tees and Couplings and standard Banjo Couplings. 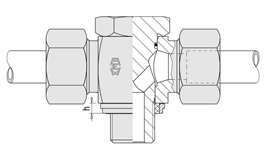 All these Banjo Compression Fittings are available in both Light and Heavy duty form. 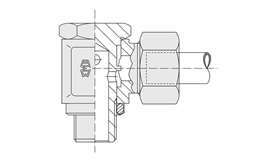 If the size or type of Banjo Fitting you require is not listed we should still be able to help. Email enquiries@grouphes.com or call your local branch on Gloucester: 01452 730774 Birmingham: 0121 327 2664 Durham: 0191 410 6619 Leeds: 0113 2707295.